Earlier today, Google decided that you needed to ditch the keyboard and get back to handwriting messages to friends and family. No, this is not a 2-week late April Fools’ joke from the company that dominates April 1. This is a real deal app that clearly took some work to get right. 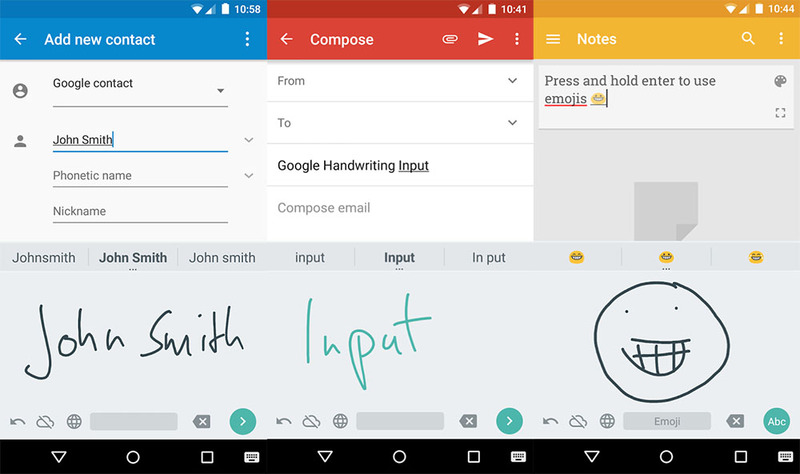 The app is called Google Handwriting Input, and it’s actually pretty neat. You can handwrite in 82 different languages and watch as Google places them as words in a message field for sending or searching or whatever. They even included emoji drawing-support, so you can draw a unicorn or a sun or a simple smiley face. It’s also pretty good at reading the scratchiest of chicken scratch.